Following Him is a non-profit ministry devoted to helping real women, with real lives, follow a real Savior. 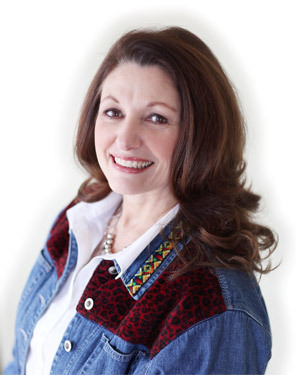 Debbie Dittrich is the founder and president and she is dedicated to helping you know God’s Word, understand God’s Word and apply God’s Word to your life. Debbie received Christ in her early thirties after two failed marriages and began sharing her “colorful testimony” ten years later in 1993. She was a speaker for Christian Women’s Clubs for several years and began speaking at women’s retreats in 1997. A contagious and sometimes outrageous passion for Jesus Christ makes Debbie a popular speaker. With clarity and power, Debbie has inspired thousands of women through her humorous, yet life-changing, messages. With refreshing honesty and transparency, Debbie challenges women to follow Christ faithfully every second, of every minute of every hour of every day. Please feel free to contact us with any questions you might have. Helping you follow Him daily is our greatest joy!